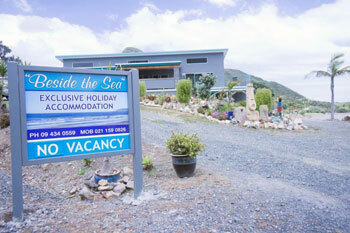 Urquharts bay has it all – fishing, swimming, diving – all on the door step. Perfect for the paddle boarders. Watch the boats from your bed. Your hosts Don & Anni will guide you to the best fishing spots and help net your bait fish, right outside the door. Take a picnic and kayak around the corner & explore Smugglers cove. Kayaks avail. Stunning coastal treks and mountain climbs. Relax in the spa and listen to the kiwis at night. Total relaxation in affordable luxury.